Cloudy skies. High 79F. Winds SE at 10 to 20 mph..
Cloudy skies with a few showers after midnight. Thunder possible. Low near 65F. Winds SE at 10 to 20 mph. Chance of rain 30%. 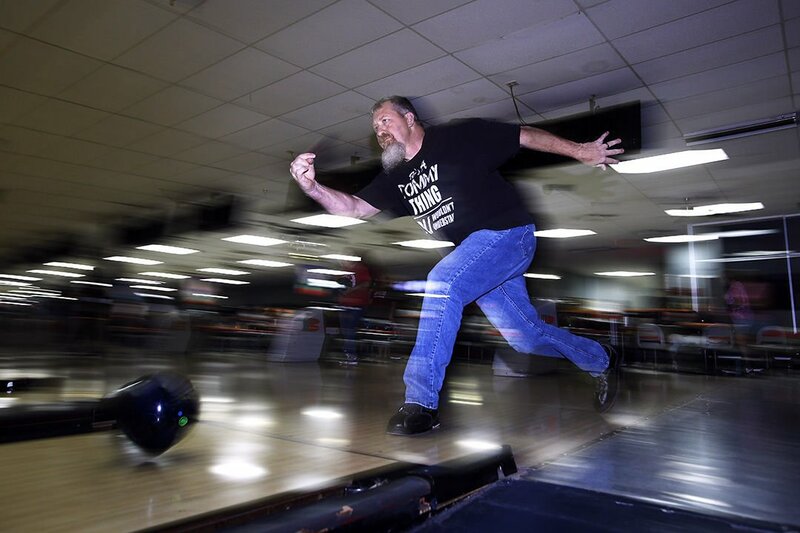 Thomas Timm bowls in the newly-founded Wounded Warriors League at Fiesta Lanes on Friday, April 12, 2019. The league started on April 12 and ends on June 28. Money from the league will go toward the Wounded Warrior Project. 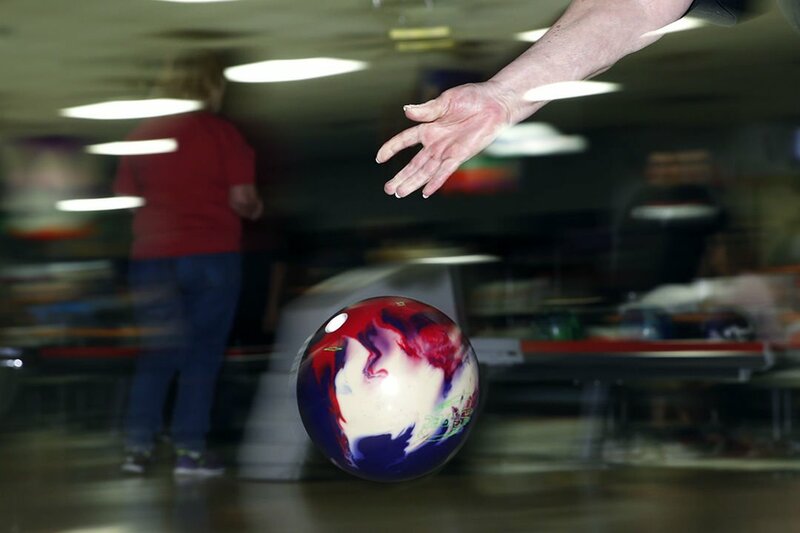 Anita Bishop releases her bowling ball to roll down the lane as she participates in the Wounded Warrior League at Fiesta Lanes on Friday, April 12, 2019. Chloe Bustos bowls as she participates in the Wounded Warrior League at Fiesta Lanes on Friday, April 12, 2019. Friday night’s event began, fittingly, with the national anthem, as Fiesta Lanes launched its Wounded Warrior League. Starting the league was Carma Herndon’s idea — a spin off from the Wine-and-Cheese Bowl-A-Thon, where the money also went to the WWP. When Herndon, whose duty is outside sales for Fiesta Lanes. proposed the idea to Thomas Coleman, one of the owners, he said he was all for it. Coleman didn’t think the event would be as successful as what it was. If anybody thinks it’s too late to join or strictly only for military and veterans, it’s not. The league is 12 weeks long and will continue through the summer, so people can still sign up and participate. The more people who participate, the higher the return back to the WWP. Bowler Anita Bishop is the mother of a wounded warrior. Her son served as an infantryman in the Marine Corps, and deployed to Afghanistan as part of Operation Enduring Freedom. Her son only served two years and medically retired from the service. Then she was told everything that was wrong. “I thought, ‘He doesn’t have enough room in his body for all that,’” Bishop said. She said the WWP helped her son a lot. When he was on convalesce leave, he went on trips, fishing, traveled to Houston to watch a football game and met with former NFL players.